A story of years of adversity, persistence and success. They said Sylvester Marsh was crazy, and maybe he was — crazy like a fox. His vision to begin building the first mountain-climbing cog railway in the world became reality in 1866, inspired by the grandeur of Mount Washington and the desire to allow many others to enjoy it. Now, 145 years after the Railway to the Moon (as it once was called) began operating, a new documentary by New Hampshire Public Television explores the history of the iconic Mt. Washington Cog Railway, from its founding visionary Sylvester Marsh to the present day, and all the dramatic moments that have tested the existence of this engineering marvel. 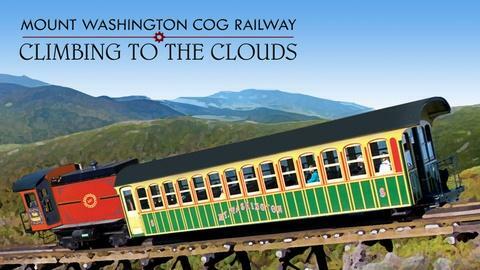 Climb aboard the historic Cog Railway for a trip up New England's highest peak.